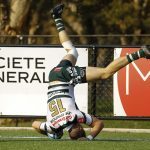 Easts and Eastwood showed why they’ve been widely talked about as two teams to watch in 2019 with impressive wins in round one, while Manly, Souths and Norths also claimed the bickies on the opening weekend. We spoke to the coaches to get their thoughts on their round one clashes. 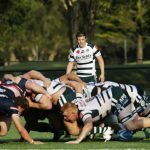 Manly opened their season with a bonus point win over Western Sydney but leaked plenty of points against a new look Two Blues outfit who took their chances at Manly Oval. After conceding the opening try, Manly scored the next four, two of which came while the Two Blues had a player in the bin. John Folau scored two tries on debut to give Western Sydney hope of a comeback, but two late Marlins tries put the result beyond doubt. “Clunky would probably best describe our performance on Saturday, it’s a fair way off where we need to be,” Manly coach Billy Melrose said. Melrose said he wasn’t surprised by the Two Blues strong performance and while coach Joel Rivers also said there were plenty of positive to take from the match, he still thinks his side has a long way to go. “We need to improve our discipline around the ruck and defensive line. The boys are keen to defend but that enthusiasm got the better of them at times throughout the game,” Rivers told Rugby News. The rookie coach said he was impressed with his side’s support play, which led to several tries on Saturday. “It was a positive start to the year but I think we’ve still got a lot of little areas to improve. If we can do that and execute as a team, I think we’ll improve considerably. Eastwood lived up to their preseason hype with an impressive 40-12 win over Randwick at Coogee Oval. Following a tight opening 30 minutes, the Woodies put the foot down just before the half time break, then scored 21 unanswered points in the second half to open their campaign with a bonus point win. Despite that, rookie coach Ben Batger still didn’t think his side’s attack was up to scratch. “It’s always good to come away with five points in the first round but it wasn’t quite up to the standards that we set as a group,” Batger told Rugby News. Mick Snowden impressed for the Woodies, as did recruit Tayler Adams who scored 15 points in his Eastwood debut. “I thought Kiti Ratu was great in his first Shute Shield match. He made some really good runs but it was his efforts off the ball which were most pleasing,” Batger continued. While Randwick dominated the opening 30 minutes of play, coach Hadley Jackson said his young side fell away after that. “We lost some key pressure moments just before half time and then couldn’t capitalise on our momentum in the second half,” Jackson said. “Eastwood did and through the experience of Mick Snowden, they made sure they won those key moments and then turned that momentum into points. Jackson said he was impressed with Christian Poidevin’s efforts in his first match in the top grade. Southern Districts kickstarted their 2019 campaign with a fairly comfortable 34-7 victory over a new look West Harbour outfit at Forshaw. While the Rebels weren’t perfect, the home side unveiled a new attacking style in coach Donny Mackinnon’s first match in charge which looked promising, but far from polished. In a scrappy match, Souths scored 34 unanswered points before leaking a late try with the Rebels young brigade – Sama Malolo, James Wayland, Nathan Lawson, Harry McLennan and Bayley Kuenzle (all under the age of 21), linking nicely with the side’s more experienced names. It was a tough start for West Harbour, who unveiled close to an entirely new starting XV under new coach Mark Gudmunson. 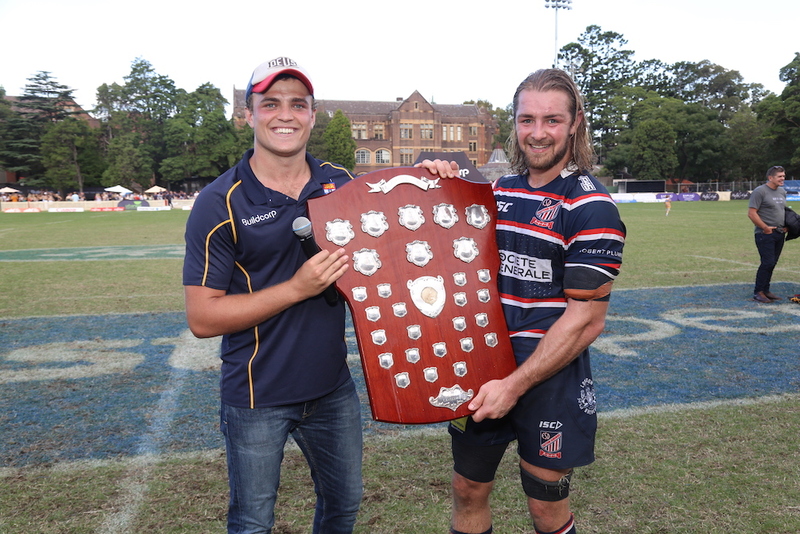 “It was a big learning curve for the new players coming into Shute Shield for the first time. I think the pace and the physicality was a learning experience,” Gudmunson said. The Pirates were brutal in defence at times and showed plenty of heart to keep the scoreline respectable, despite defending for the majority of the game. “Dion Spice was great for us at No.9. He created a lot of opportunities for us and really pushed the team to continue to get up off the ground and defend for really long periods,” Gudmunson said. Three tries off the boot of flyhalf Mack Mason proved the difference as Eastern Suburbs upset Sydney Uni on Ladies Day at University Oval. Little separated the two sides until late in the second half, when the Beasties backs showed plenty of flair to push away from the defending premiers. “It was a decent hit out for both teams and I though it was played with great spirit. From all reports it was a pretty good game to watch with both teams throwing the ball around a fair bit and creating plenty of opportunities,” Taumoepeau said. “I thought our backs saved us on many occasions when our forwards didn’t provide options. Mack (Mason) was great as was Ned (Yeomans) who provided that go forward. In all, I thought our No.9-15 were all very good. While the Students showed flashes of the brilliance that led them to last year’s premiership, Uni coach Rob Taylor wasn’t happy with his side’s second half performance. “We had some very good moments but lapses during other key times took momentum away. It’s better for that to happen at this time of the year than later, but it’s still disappointing,” Taylor said. Taumoepeau quickly shut down any suggestion that Easts had leaped frogged Uni into premiership favouritism. 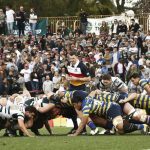 Norths took a little revenge for last year’s preliminary final loss to Warringah with a 35-14 opening round win at Rat Park. In a scrappy affair dominated by penalties and errors, the Shoreman scored 27 unanswered points on either side of the half time break however rookie coach Nick Hensley said both sides were a long way from their best. 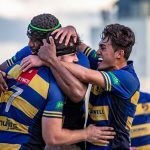 “It wasn’t a flowing game but our energy, defence and set piece pressure kept us in there long enough to take our chances when they popped up,” Hensley told Rugby News. “It’s a really important result for us, playing away at a tough place to win with a host of players unavailable. With a bye in round two, Hensley said taking maximum points from the trip north was important and said he was impressed with a number of individual performances. While the loss was a disappointing start to Mark Gerrard’s reign on the Northern Beaches, Hensley said he expected to face a different Rats outfit later this season. “They’re a good side. Mark (Gerrard) and I agreed after the game the we both made far too many errors and it was a clunky game, so I can see them improving a lot on yesterday and being a strong contender again in 2019.